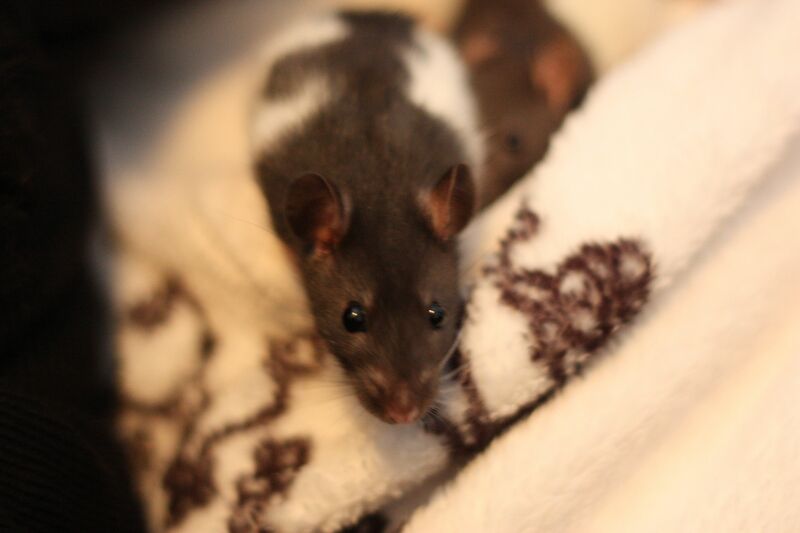 After Kiyoko died we decided it's time to adopt a few young rats again so that Ylvi and Una won't be alone. We wanted to have three to four young rats but this time it seemed to be more difficult than before. We had to search for two weeks. 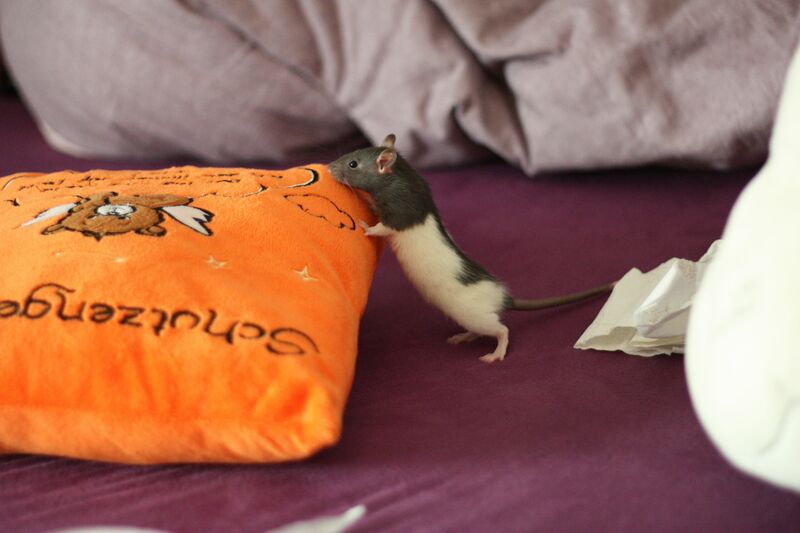 Eventually, we found a girl who tries to breed healthy rats (and doesn't breed "suffering" breeds like Rex or Dumbo). We got Amy from her. She's a beautiful and snoopy little rat, born on 27. January 2010. A real rascal who always made nonsense. Then we also found a girl who had a brood of young rats (she accidentally adopted a pregnant rat). There was only girl left for us whom we named Alice. She was born on 25. January 2010. She almost looks like a sister to Amy but is a little shy (but still snoopy). Amy suffered from mycoplasmosis. While she had to take medicine everyday because of that, she seemed to do pretty well and was a strong rat. But then she grew two tumors and unfortunately didn't survive the operation. She passed away way too early on 20. June 2011. The mycoplasmosis luckily wasn't a big problem for Alice. Even though she also grew cancer she recovered very well and passed away one year later on 12. July 2012 of old age, almost two weeks after Miu. For the first time in several years our household was without rodents since we were about to move to Gauting (and needed to wait anyway to not take the risk of infecting the next group of rats with mycoplasmosis).